Omar bin Laden, the fourth son of the Al Qaeda leader, cuts a striking figure. In one photo, he stares out from beneath an Adidas baseball cap, his beard closely trimmed–an entirely different look from his father’s seventh-century aesthetic. He wears jeans and sits next to his much older wife, a pale-faced British woman with pig tails, whom he divorced a mere five months into their marriage. While his father would not approve of his lifestyle choices, few men know the terrorist mastermind so well. When the Sudanese government exiled bin Laden in 1996, Omar was part of the small contingent that flew in a jet to Al Qaeda’s Afghan sanctuary. He spent nearly five years living in the notorious training camps that bin Laden assembled. WASHINGTON (CNN) — Pakistani President Pervez Musharraf — a key U.S. ally — is less popular in his own country than al Qaeda leader Osama bin Laden, according to a poll of Pakistanis conducted last month by an anti-terrorism organization. Stepping onto the balcony of the governor’s mansion in Uruzgan in southern Afghanistan, you quickly grasp the scale of the drug problem gripping the country. Beginning at the walls of the mansion and stretching as far as the eye can see are hundreds of acres of poppy fields ready for harvesting for opium sap, pretty much the only way to earn a living in poverty-stricken Uruzgan. The last thing that seven Iraqi policemen at a checkpoint in Ramadi in late July saw was a woman approaching them. Seconds later, she detonated her explosives vest, killing herself and everybody else at the site. Just two weeks earlier in Pakistan, some would-be female suicide bombers were less successful in martyring themselves. When government forces stormed Islamabad’s Red Mosque, several women were among the die-hards hoping to make a stand. “We wanted to carry out suicide attacks . . . but we didn’t have sufficient explosives,” one woman later regretfully told the BBC. “Nie ma dowodow, ze Osama bin Laden nie zyje. Gdyby zginal, dzihadysci z pewnoscia rozglosiliby to z duma, bo stalby sie meczennikiem i chcieliby uczcic ten fakt. Gdyby go zlapano albo zabito, to nie daloby sie tej sprawy utrzymac w sekrecie” – mowi w wywiadzie dla DZIENNIKA Peter Bergen, amerykanski dziennikarz, specjalista ds terroryzmu i autor ksiazki Osama bin Laden. 1 Letting Osama Escape Tora Bora: Because Donald Rumsfeld wanted a “light” footprint in Afghanistan, only 60 U.S. Special Forces were sent to smoke out bin Laden. During the 2004 reelection campaign, Bush implied that bin Laden wasn’t at Tora Bora at all-a claim publicly slapped down by the CIA’S on-scene commander, Gary Berntsen, a longtime Republican, who pleaded for additional forces, to no avail. Two months ago, on a rainy afternoon in Islamabad, I paid a visit to the Red Mosque. Its militant imam, Abdul Rashid Ghazi, was suddenly a force to be reckoned with in Pakistani politics, his students having recently undertaken a series of violent protests aimed at showing their contempt for the government of President Pervez Musharraf. The proximate cause of their anger was the demolition of several mosques in Islamabad that authorities said had been built without the required authorizations, but their agenda had broader elements, including a demand that Musharraf implement sharia law. Starting in January, Ghazi’s followers occupied a municipal library adjoining the Red Mosque. Meanwhile, masked students armed with batons visited video store owners and told them to close their businesses, while others destroyed CDs. 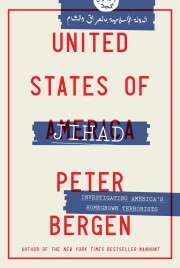 PETER BERGEN, CNN TERRORISM ANALYST (voice-over): Mistake number one, a big one, letting Osama bin Laden go. U.S. special forces had bin Laden cornered in the Tora Bora mountains of Afghanistan in late 2001. The CIA commander on the scene asked for more forces to catch al Qaeda’s leader, but was turned down. And bin Laden escaped.